Borobudur trip was just awesome and amazing, so many thanks to my dear friends Ojan and Nicky who taking me in and having me, although only one day, we had a good time, very very nice 3 days off and for Okinice during the time, but there are some stories continue, i will share all to you include our #LuxuryVacation in Amanjiwo Resort, come back again for the story after a couple of posts. So this week is Men's Fashion Week for Spring/Summer 2013 collection, I saw some collection from Zegna, Burberry, Versace, Prada, John Varvatos etc, and how was that? Shocking metallic trend brought to us by Burberry, and Versace with all the sensuality, and more colors and patterns in Ermenegildo Zegna, we are all happy??? Always love the way of every Creative Directors, who have presented their upcoming trends, all the set up, even the models (I saw Dolce & Gabbana made a little surprises in their show) and Prada who have mixed the ages and the sexes into one clean yet lavish runway, I REALLY WANT TO BE ONE OF THEM (in frontrow seats ;p LOL). And other shocking news, come from YSL who renamed become Saint Laurent Paris, they said that the brand actually back to its roots and back to its basic, i wish we are all happy. Thank you so much!! I followed you back! Great blog my friend! And style!!! Thanks for Your visit :) I like so much Yours brancelets! Well you really should go to Ibiza it's lovely! Wow your pictures are amazing!! You have a great style too.. I will follow you! would you follow me as well? Omg, I'm in love with the outfit! Love your visit and your blog! Your look is so beautiful, and I love the bracelets! Very chic look!! I like your style!!!! Thanks for the visit my blog. Loving this look especially the blue blazer and cuffs. love that floral on you! 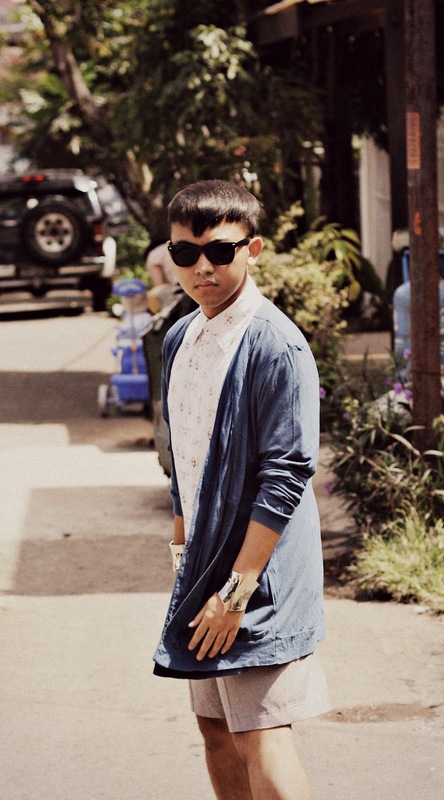 You remind me of BryanBoy! 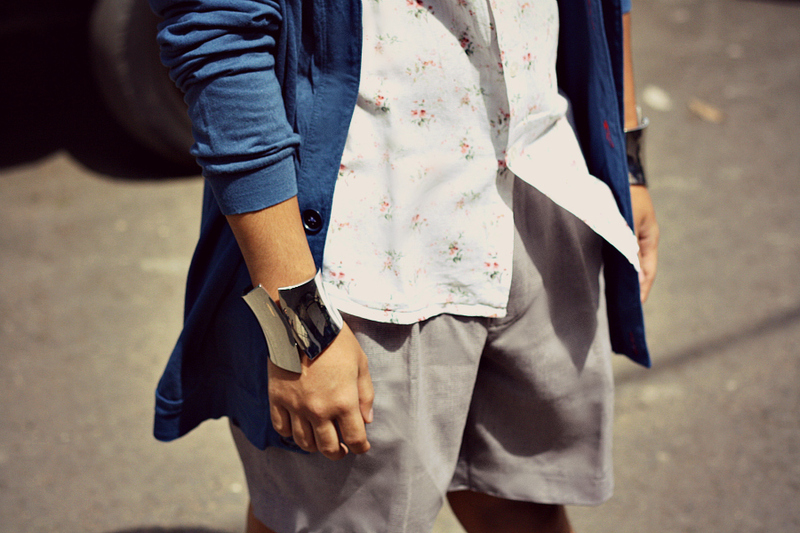 I love those cuffs and that floral print on you! Where and how much are those cuffs? They look amazing on you! it is quite cheap like $10, i found this cuff at local accessories shop. These cuffs are out of control. I want them for a warrior fashion shoot NOW!! omg! that cuffs!! and floral shirt! i want it!! finally, someone real rocking these cuffs! i've been eyeing this trend for quite some time now! I love your cuffs, especially paired with such a low key outfit. It really makes the difference in the outfit. Thanks for the comment. Your blog is really neat, I love your photos and the angles they're taken at, it's really unique. you are really inspiring and the shirt,the cuffs so perfect on you.i followed you. your bracelets really got my attention dude! great blog you have here. though that would be great to keep in touch! would you prefare to follow each others? These cuffs are amazing, you look so cool!!!! I want those cuffs too!! Wow. I adore these cuffs. Glad you had a good time. You look very cool & edgy..Love the look! I love cuffs. They add instant edge to any look. hey! you have a nice style! 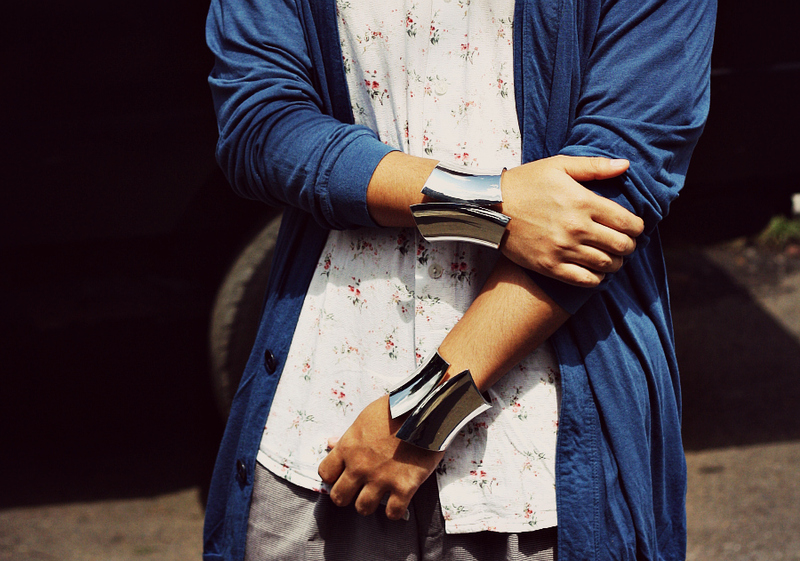 LOVE the cuffs, they look so cool! 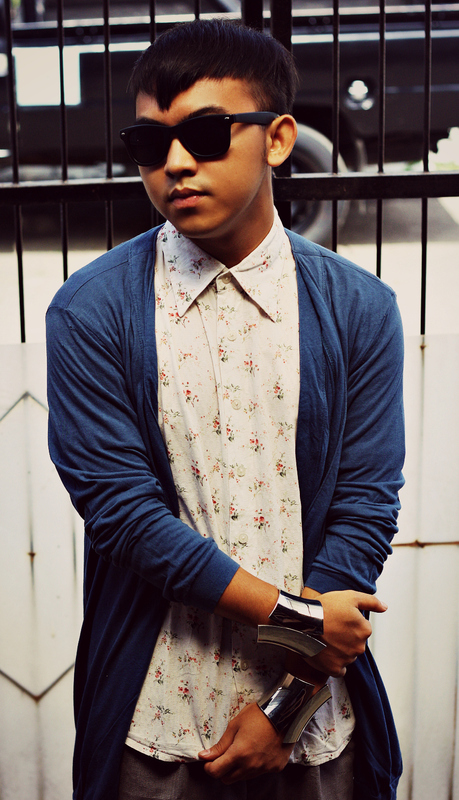 im in love with your floral shirts! im dying to find one right for me! I just found your blog and suddenly love it. Are you... Indonesian? 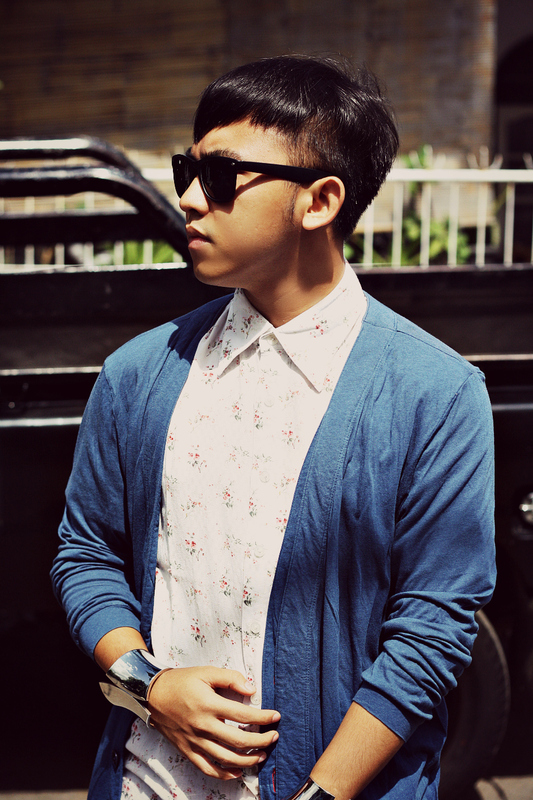 I think more guys should wear floral printed shirts!! :) It looks soooo good!!! !